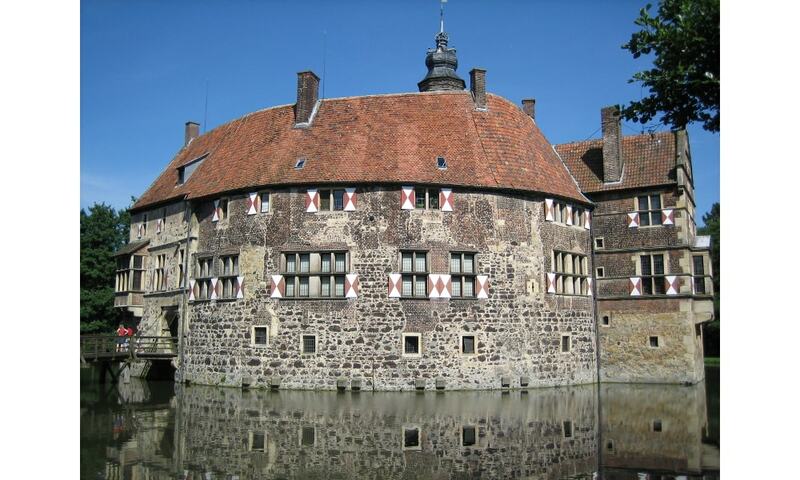 Vischering Castle is the most typical moated castle located in the Munster region of Germany, a region that has one of the highest German concentrations of castles, palaces and fortifications. The castle consists of outer defensive courtyard, defensive gateways, moat, drawbridge, main building and chapel. The sandstone walls, the red tile roofs as well as their reflection in the moat provide many harmonious views from the wooded surroundings.